Norway edged Poland in a tournament-deciding shootout to seal top spot in the IIHF World Under-20 Championship Division IB on Friday. The teams met in the final game of the tournament in Slovenia, both knowing that any kind of victory would be good enough to win the competition and claim a spot in Division IA next year. Norway eased into a 2-0 lead thanks to a quick-fire salvo early in the second period, but the Poles refused to yield. Dominik Jarosz pulled one back in the middle frame, then Alan Lyszczarczyk potted a dramatic equalizer with seven seconds left. 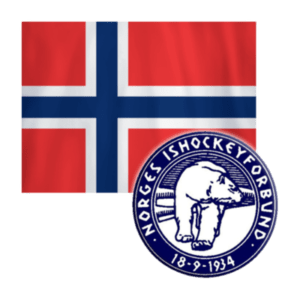 Overtime was scoreless, but in the shootout Norway’s strong goaltending made the difference: Jorgen Hanneborg, who plays his hockey in Finland with the Espoo Blues, won all his duels. Martin Ellingsen claimed the decisive score. The game promised to be a clash of styles. Norway had reached this stage thanks to a miserly defence, allowing just three goals in four games. Poland, meanwhile, offered lively offense: Lyszczarczyk, who plays in Canada with Owen Sound System, topped the scoring charts ahead of strike partner Bartlomiej Jeziorski, but there were questions over the defence, especially after the team allowed six power play goals during the tournament. At times, the game reflected that. From the start, Poland was happy to get forward and shoot at Hanneborg’s net. Norway, by contrast, looked for more control of the puck and sought to carve out clear-cut opportunities. After a scoreless opening stanza, the Norwegians exploded with two goals in 64 seconds early in the second. Samuel Solem created the first, weaving his way to the Polish net before Esbjorn Live Vold beat Kamil Lewartowski to a rebound and open the scoring. It wasn’t long before Mads Homdrom added a second, getting the vital touch on Joachim Nielsen’s shot from the blue line after Poland failed to clear its zone. But then the Polish PK raised its game, seeing off a short 3-on-5 situation before Jarosz reduced the deficit. Then came the dramatic finish. Ellingsen almost won it for Norway but fired narrowly wide of the empty net, then got a minor for holding. Poland took advantage, forcing the puck home with seven seconds left on the clock when Lyszczarchuk shot a wrister through heavy traffic to tie the scores. That was his eighth goal and 15th point of the tournament; Jeziorski’s helper took him to 12 (5+7). The Poles celebrated hard, but the reprieve was temporary. Ellingsen redeemed himself for that late penalty by deking his way past Lewartowski to win the shootout, and the tournament. The result means Norway makes an instant return to Division IA following its relegation in Bremerhaven 12 months ago. However, Poland’s future at this level looks encouraging. Head coach David Leger highlighted the youth of his roster, which had two players born in 2000 and drew heavily on the squad that suffered relegation at u18 level a year ago. Host nation Slovenia had hopes of disturbing the top seeds in the group, but finished third after losing to Poland in a shootout after a 4-4 tie and then suffering a 1-5 drubbing against the Norwegians. Ukraine took fourth place, but was competitive in all its games. At the foot of the table, Lithuania returns to Division II after picking up just two points from two overtime losses. Italy also finished on two points, but crucially defeated the Lithuanians 2-1 in overtime to preserve its status by virtue of the head-to-head record. Simon Berger, of HC Pustertal, got the vital goal for the Azzurri, converting a power play three minutes into the extras. Among the individual awards, the two Polish hot-shots Lyszczarczyk and Jeziorski led the scoring, with Norway’s Jacob Alexander Noer coming in third with 4+6=10 points. Poland’s late goal denied Hanneborg the top ranking among the goalies – Lithuania’s Laurynas Lubis pipped him with by stopping an impressive 95.29% of his shots across three appearances, although the Norwegian had fractionally the better GAA of 1.26 against 1.29.